The Dragon Wing Shawl is part of my Dragon Wing crochet and knit pattern set which features textured detail using the Jacob’s ladder stitch. 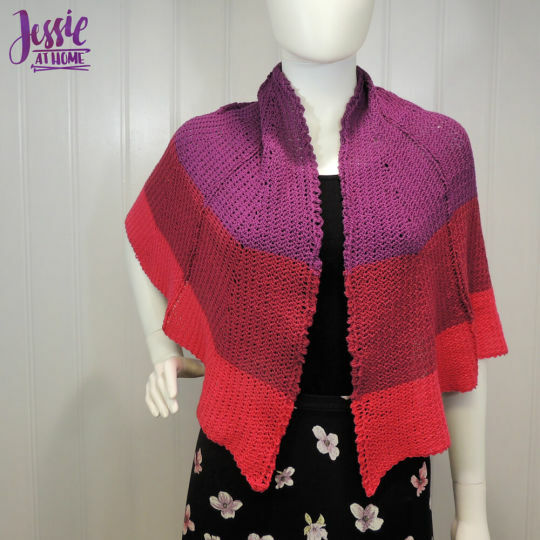 There are 6 triangular wedges between 7 looped spines all creating a half circle shawl. There are tips in the notes for making it more than a half circle and for changing the size or gauge. The pattern is a 7 row repeat utilizing stitch markers, so it is easy to take with you in your project bag.